Here’s a picture of one of our new water distillers…just kidding. 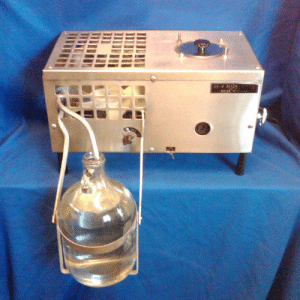 This is a picture of a water distiller that we made about 40 years ago. It came in a few days ago for some service, we cleaned it up and it’s going out looking as good as new! We estimate that over the past 40 years this machine has produced more than 43,800 gallons of distilled water! What’s more, this machine could realistically last another 40 or 50 years! How’s that for an investment?! This is one of many machines that are over 35 years old that come in to our service center, get basic service and go out looking brand new. That’s how we used to build our machines and it is how we still build our machines (except that now our machine are better). 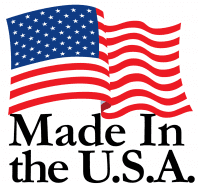 We have excellent, proven designs, we use the highest quality stainless steel and components and we hand-craft our water distillers with love. We are the best at what we do. So when you are looking at purchasing a water distiller, think about this picture. Remember that you can purchase a distiller that’s cheaper, but you can’t make a better investment than a Pure Water premium water distiller. A Pure Water distiller is a lifetime investment in your health.